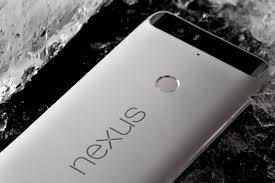 Google launched its Nexus P device recently and the phone is making quite a buzz for all the right reasons. Supported by an excellent hardware and software specs, the phone is emerging a winner among all other high-end smartphones. So if you own a Nexus P yourself and are willing to experience its full power, then follow this guide on how to root it and install custom recovery on it. Create a backup of all your personal phone data including contacts, msgs, images and videos. Enable USB Debugging on your phone. To do so navigate to the Developer Options under Settings menu and enable USB Debugging there. Charge your phone with at least 70% battery so that it can work through the entire rooting process. Make sure your Nexus P runs on the latest Android Marshmallow 6.0 in order to follow this guide. 1- Get Android SDK from here and install it. 2- Download the package SuperSUv2.49 from here for your Nexus P device on your PC. 4- Download FastBoot for the preferred OS from the links given below. Step 1: Extract the downloaded FastBoot file in the same directory as mentioned before:android-sdk-windows\platform-tools. In case this directory does not exist, create one. Step 2: Connect your Nexus P device with your PC using USB cable. Step 3: Copy the SuperSUv2.49 file you downloaded before and paste it in the root folder of your device’s SD card.